Many small businesses are already seeing a growth in their business because of their Webepreneur website. Take a look at these sample sites created by small business owners that have already found the freedom and flexibility that Webepreneur websites offer! 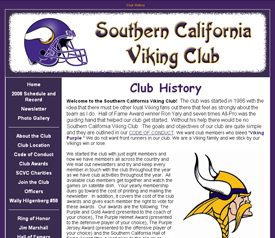 Welcome to the Southern California Viking Club! The club was started in 1986 with the idea that there must be other loyal Viking fans out there that feel as strongly about the team as I do. Hall of Fame Award winner Ron Yary and seven times All-Pro was the guiding hand that helped our club get started. Without his help there would be no Southern California Viking Club. Dr. Karen Wolfe has built an international wellness business of speaking, educating, training and coaching people to create true health and prosperity. Karen is a pioneer in wellness. She has extensive experience in health care, wellness and disease management and presents at local, national and international conferences on subjects such as Mind/Body Medicine, health care reform, managed care, specific disease management strategies and integrated health management. Business and Life Coach Cheri Alguire has partnered with hundreds of Small Business Owners, Real Estate Professionals including agents, owners, brokers, managers, assistants, loan officers and title closers, moms, and recently divorced individuals to help them become more successful in business and in life. 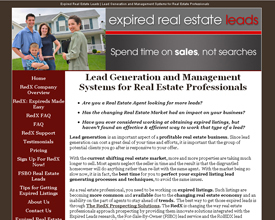 ExpiredRealEstateLeads.com is an example of a service driven website. They offer Real Estate Agents the tools to increase their productivity by expanding their leads and methods of obtaining leads. You can see how easy Webepreneur makes it to organize company information and services for site visitors and prospective clients. Whether you seek to dissolve your marriage, desire to modify your present custody/visitation or support order, wish to prepare a pre-nuptial agreement, or adopt a child, the Law Office of Robin C. Huggins can handle your family law matter. This is an example of one of our many product-driven websites that makes it easy to organize, display, and sell products through affiliate programs. Great Books and Audiobooks offers resources on a wide variety of subjects including small business books, books on finance, real estate business books, personal growth books, and much more. 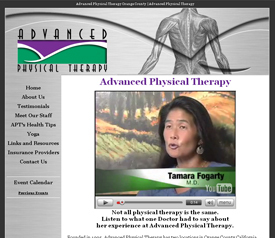 Founded in 1995, Advanced Physical Therapy has two locations in Orange County California. APT is dedicated to providing the highest quality rehabilitation to all their patients while maintaining continuity between the patient, therapist, and physician to provide on-going assessment and re-evaluation. They also incorporate the latest in continuing education and current research to provide more effective solutions to reduce pain and increase function for neuromuscular, proprioceptive, neural, and skeletal dysfunction. Legacy Law Group, Wilcox & Peirano, LLP, Attorneys at Law, of Irvine, CA. Jean Wilcox has been practicing law in Orange County for 26 years in association with or as a partner in A.V. rated law firms. Jean is an experienced civil trial, arbitration and mediation attorney. Since 1999 her primary field of practice now involves estate planning and representing heirs on estate administration issues, probate and will and trust contests. Jean also has substantial experience in handling real estate transactional issues, including eminent domain (condemnation) actions and buyer-seller disputes. Cristian Luis Peirano has an extensive and diverse practice in many areas of civil litigation and business formation. Cris's litigation practice involves personal injury, contract disputes and collections. He also handles immigration and worker's compensation lien claims for medical practitioners. On the transactional side of his practice, Cris handles all aspects of forming new corporations and limited liability companies for the firm's business clientele. Cris is also fluent in Spanish. After Divorce Coaching is a resource for people who are struggling through the pain of going through a divorce. After Divorce Coaching isn't about therapy but rather focuses on how to move forward, build up your self-confidence and points your life in a new direction. 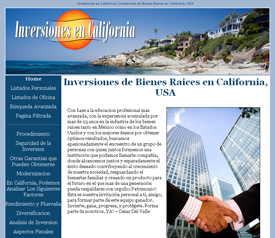 Inversiones en California is a Webepreneur website that is entirely in spanish. Inversiones focuses on providing property selling, buying, and loads of other information to California's Spanish speaking real estate investors. 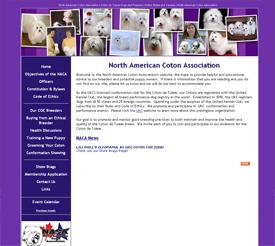 As the UKC's licensed conformation club for the Coton de Tulear, our Cotons are registered with the United Kennel Club, the largest all-breed performance-dog registry in the world. Established in 1898, the UKC registers dogs from all 50 states and 25 foreign countries. Operating under the auspices of the United Kennel Club, we subscribe to their Rules and Code of Ethics. We promote and participate in UKC conformation and performance events. Please visit the UKC website to learn more about this prestigious organization. 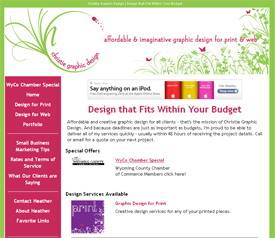 This Webepreneur website is for a graphic design firm, showcasing the designer's portfolio and accomplishments. Heather began her graphic design career over 15 years ago, and has experience in all aspects of design and production of printed pieces. From her beginnings as a paste-up artist she learned the importance of getting the clients message across in each project – on time and within budget. FSBO Real Estate Leads is a website dedicated to help Real Estate agents capture more leads from people who are listing their property as 'For Sale By Owner' (FSBO). 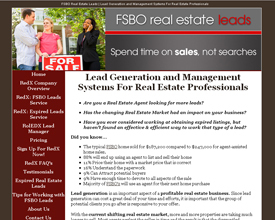 Lead generation is an important aspect of a profitable real estate business. Since lead generation can cost a great deal of your time and efforts, it is important that the group of potential clients you go after is responsive to your offer. With the current shifting real estate market, more and more properties are taking much longer to sell. Most agents neglect the seller in time and the result is that the disgruntled homeowner will do anything rather than re-list with the same agent. With the market being so slow now, it is in fact, the best time for you to perfect your lead generating processes and techniques, to avoid the same issues. Megan Bailey is the President of Healthy Figures Inc. of Orange County, CA. Megan Bailey has worked with hundreds of people to help them reach their fitness and nutrition goals. Healthy Figures is a company geared to helping each individual with their Health and Wellness Journey. Services include guidance in fitness, diet coaching, meal planning, running, natural organic supplements, personal training, vitamin recommendations, and optimizing each individuals health goals. Getting Found local is a Search Engine Optimization service that aims to help optimize websites for the best search engine placement for specific local areas.